Everybody wants killer abs. But, they take work. And, one of the unfortunate facts of life is – this seems to be the first place we put on fat, and the last place it leaves! First – everybody has fat. Yes, even that person you see with a great six-pack – they have fat there as well. There are two types of belly fat – the fat that is above your abdominal muscles, right under your skin. Then, there’s the fat under the muscle – that fat is called Visceral Fat. You need some visceral fat – it provides cushioning between your heart, lungs, and liver. But, too much of this fat is a bad thing – too much of it can lead to high blood pressure, heart disease, type 2 diabetes, dementia, and even some types of cancers! Here’s what’s important to remember. Visceral fat hates activity! So – even thin people that don’t workout, can have a hard time getting rid of belly fat. Here’s some simple tips that can change your shape! 1. Exercise. As mentioned above, you’ll need to Exercise to get rid of belly fat. And vigorous exercise gets rid of both that fat under the skin that keeps your abs from popping, and that visceral fat as well! So – get 30 minutes of exercise 5 days a week. That’s right – 5 days a week. As long as you work up a sweat, elevate your heart rate, and breathe harder, you’re on your way to getting rid of that belly! 2. Diet. Even with a good workout, you need to both feed your body to refuel, as well as ensure that what you’re using for fuel works for your belly reducing efforts – not against it! Cut carbs – and eat more fiber. Eating stuff like 2 small apples, or a half a cup of pinto beans – not only fills you up faster (meaning you’ll eat less), but research is showing that those that consume at least 10 grams of fiber daily build up less visceral fat. 3. Stresss. Want to build up a nice gut? Stress is a great way to accomplish it! And the inverse is especially true. Stress releases cortisol into your system, which triggers your body to store fat. So – if you’re feeling stressed, not only does a good workout do a great job of reducing stress (as it forces you to focus on something else) – but it helps keep your body from storing fat. 4, Sleep. Along with reducing stress, getting a good night’s sleep on a regular basis is important for fat loss!In one study, people who got 6+ hours of sleep per night gained less visceral fat over 5 years compared to those who slept 5 or less hours per night. Of these four tips – if you have to choose one – choose exercise. Exercise helps you deal with stress, it picks up your metabolism, and burns extra calories. And, if you’re looking for some incredible cardio equipment that can help you with your exercise program, visit any of Fitness 4 Home Superstore’s 3 Valley locations! We can help you find the perfect equipment that can meet your fitness needs! 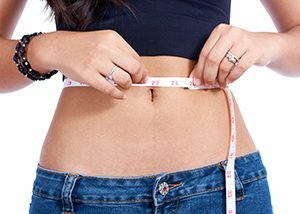 The post Diet Tips: Tips for a Flatter Stomach appeared first on Fitness 4 Home Superstore.